Wine and candles go together like chocolate and Valentine's Day. Once you pop open the bottle, save the cork (if it has one). You can turn it into a cheap candle later. 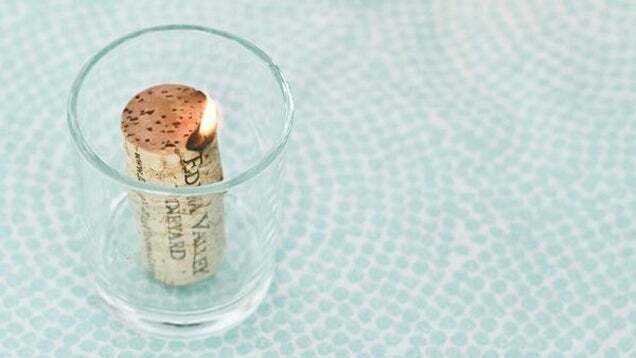 Corks work well as as makeshift candles. Place them upright inside a fire-safe candle holder and light one end. As with anything involving fire, be cautious. Remember that an alcohol-soaked cork is flammable over its entire surface, so place it in a safe place before you light it. You know what else makes a great cheap candle? A candle. Which is cheap.